Abwiz Bio’s antibody development platform is well suited to the creation of antibodies recognizing native cellular surface epitopes. Using recombinant protein, peptides or target-expressing cells for immunization, we harness the power of the natural immune repertoire to develop high-affinity antibodies for each intended target. Our cell surface antibodies are then selected from the immune library using our phage-based technology – by enforcing rigorous selection (such as subtraction of undesired clones using a related off-target competitor), we ensure that each antibody recognizes only the intended cellular target. All our cell surface antibody reagents are recombinant monoclonal antibodies. Recombinant antibodies are more reliable than their polyclonal or hybridoma-produced counterparts. Due to complete IgG sequence characterization, recombinant antibodies exhibit little lot-to-lot variability. Our RabWizTM or mouse antibody development platforms enable us to capture, sequence and validate dozens of possible cell surface antibodies for each target in a high-throughput manner. This ensures that only the best product is developed for each target..
Each cell surface antibody lot undergoes rigorous validation to ensure that our products are of the highest sensitivity and specificity. For each antibody, we only list applications for which we have high quality data and high confidence in the product’s performance. Contact us today and tell us to add your favorite cell surface epitope target to our constantly expanding product portfolio! 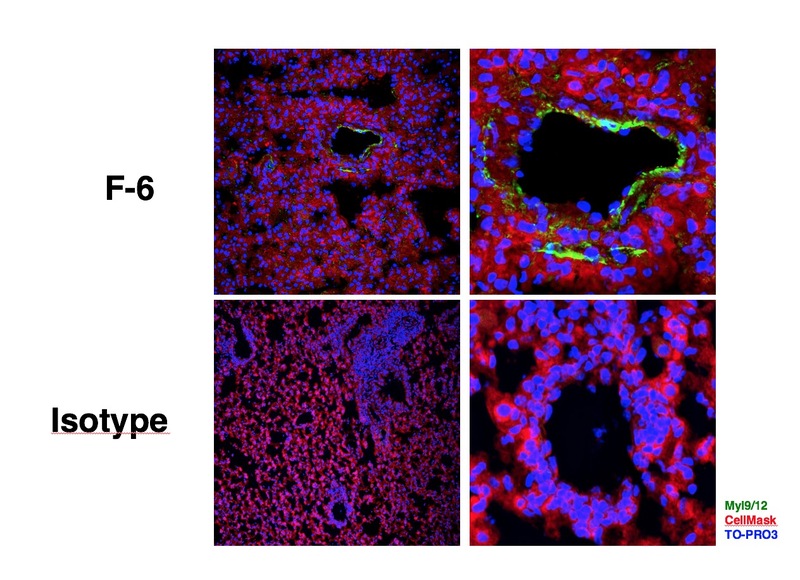 "We found that anti-Myl9/12 antibodies inhibited allergic airway inflammation as efficiently as anti-human and anti-mouse CD69 antibodies did." -Reported in Hayashizaki et al. (2016) Science Immunology about Human/Mouse Myl9/12 rabbit mAb Cat. #1151 developed for IHC and functional studies in collaboration with Abwiz Bio.